How to Design a Crochet Hat: The Workbook!! Just over a year ago, I laid out my method for designing a hat. I always had the intention of coming back and adding more. From picking up a hook and making a hat that fits any head, to writing a hat pattern in multiple sizes, How to Design a Crochet a Hat: Any Stitch. Any Yarn. Any Size is filled to the brim with advice and techniques to get hat making right...the first time. 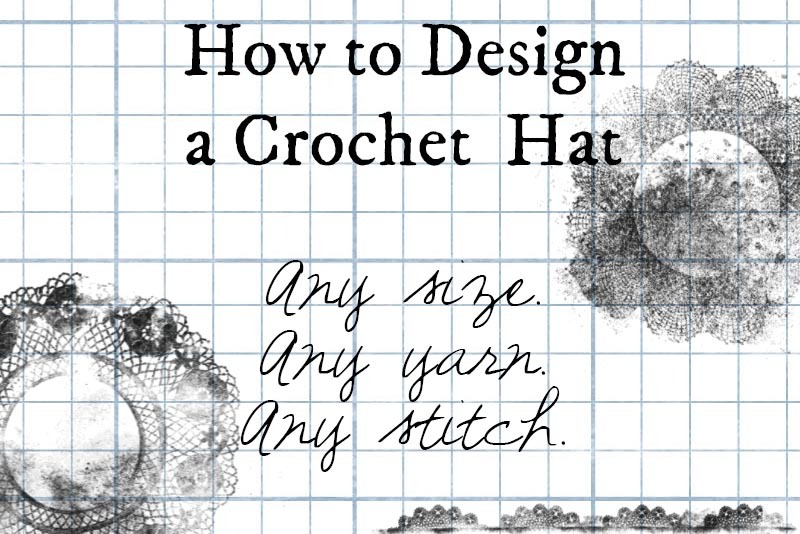 Based on my popular tutorials (available here and here), this interactive Workbook demystifies hat design so crocheters can make the kind of headwear they want to wear and give. Crochet and Go: Pick a yarn and a hook and just start crocheting to make a hat that fits the first time, using the simple geometry of a circle and some basic measurements. Swatch and Grade: Used for more complicated stitch patterns or making hats in multiple sizes. This method is complete with a downloadable spreadsheet to grade patterns correctly. How to Design a Crochet Hat is fully interactive, allowing you to use it like a workbook as you design a hat and it is full of tips for hat making: size charts, stitch patterns, diagrams, techniques and inspiration to allow anyone to create beautiful hats. It really takes those first tutorials and makes them much more clear and packs in all of the other information you need to make beautiful and unique hats. or this pretty shell and cable beanie. The workbook will get you on your way to designing your own hats, either as a beginner or get you on the first steps to designing as a pro. Please be aware that the workbook's interactive capabilities mean it works best on a computer, but will also print out nicely if required.